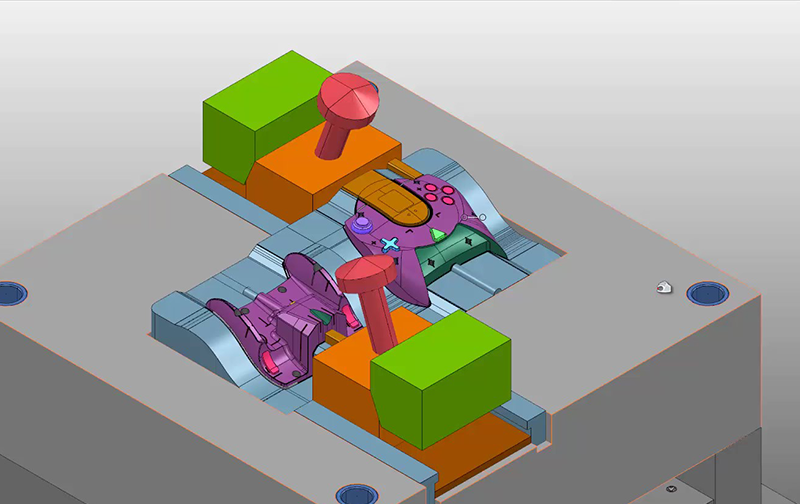 PowerShape continues to offer modeling for manufacture tools to help prepare complex parts for manufacture with Autodesk CAM software. This latest release offers improvements to solid modeling including the introduction of a new lightweight hole feature type. Simplify the selection of faces and features on solid models using a new color selection filter. Activate the filter, select a face and allow PowerShape to automatically pick all faces that share the same color for faster solid modeling. 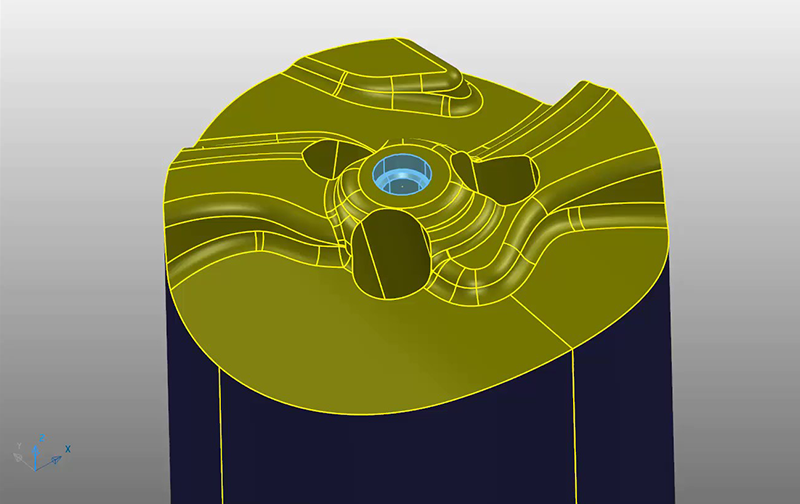 Use enhanced second-level tool tips to learn more about PowerShape. Access commonly used commands and macros with keyboard accelerator shortcuts. Use the new view flyout menu to manipulate 3D views more easily. 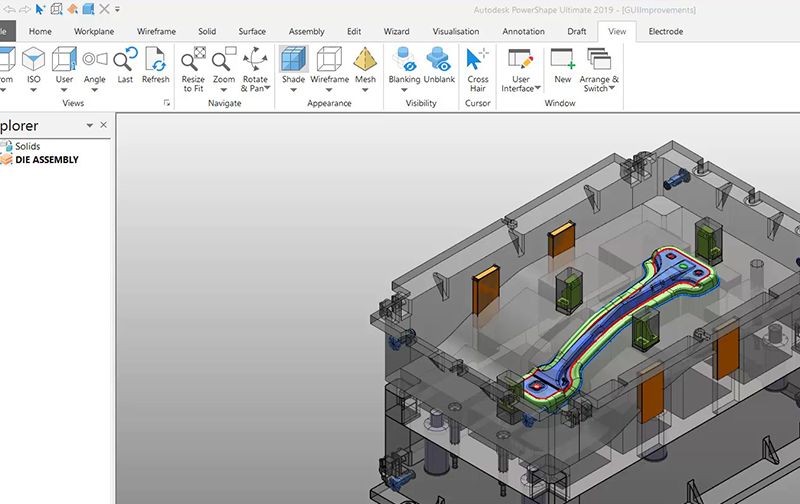 Customize the PowerShape interface by adding shortcuts to your favorite tools. 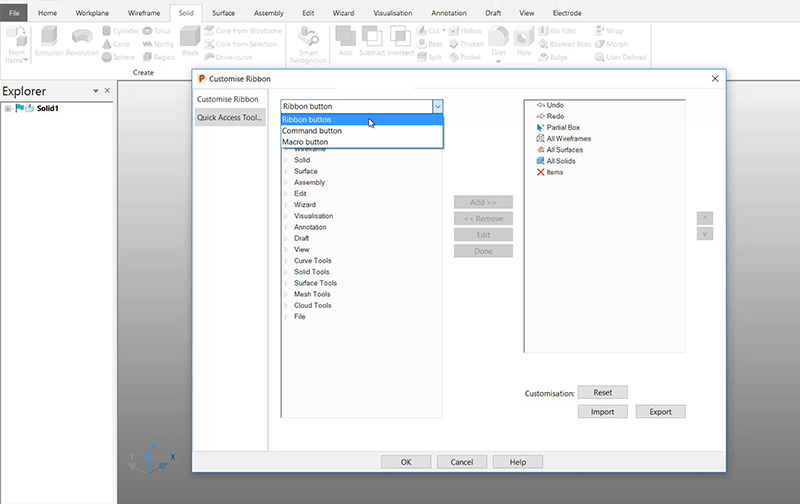 Combine with personalized icons on the quick access toolbar and ribbon interface for even faster modeling.